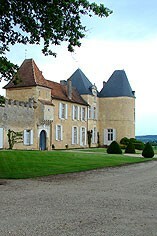 Chateau d`Yquem is often described as the greatest sweet wine in the world. After centuries of family ownership, Yquem was finally sold in acrimonious circumstances to Louis Vuitton-Moët-Hennessy in 1999. However, its former owner and director Alexandre de Lur-Saluceremains in charge.